A freight line company, it offers six major services: Technology, Household Services, Global, People, Domestic, and Expedited. Basically, it provides shipping services to all walks of life. Its shipping locations cover almost all of the United States and other global locations. The company was founded by Lilian and Earl Congdon in 1934. Back then, it only had one truck that went from Norfolk to Richmond, Virginia. It is a family-run business, with Earl and Lilian’s descendants holding high positions in the company. It currently has more than 22,000 employees, and boasts of more than 22,000 trailers and 5,000 tractors. The company is a constant recipient of business awards, frequently winning supply chain partner awards. The company offers 401(k) (30% match), health insurance (medical, vision, dental, etc. ), paid days off, and vacation leaves. The 401(k) is the biggest factor why people love working for the company. The benefits that the company provides are enough to keep its employees working. You can also add that it provides great pay. The only concern that employees have is the long hours, which come by default since it is a freight company. How old do you have to be to work at Old Dominion? To get employed in this company, you must be at least 18 years of age. Most of the positions available are entry-level. Some positions require you to have a commercial driving license and you must be at least 22 years old and above. There are a lot of career opportunities in this company. Mostly, they are jobs within the servicing and dock areas of the companies. As mentioned, most jobs are entry-level ones. Appointment Clerk: As an appointment clerk, you will receive calls related to servicing and appointments. You will be also mainly responsible when it comes to providing information about shipment status, label freight, and Bills Of Landing (BOL). Customer Service Clerk: Your main job is to answer phone calls and talk to customers. You must know how to address and resolve their concerns. Aside from calls, you will also be handling emails and generate reports. Delivery and Pickup Clerk: You will be managing information that drivers get. You must make sure that all the information that they have are correct and accurate. You will also process payments in the form of cash transfer, checks, and cash on delivery. Linehaul Driver: You will be the one driving freight trucks and must adhere to driving safety regulations. Because of the nature of the business, you must be available round the clock. You should have a commercial driving license with tanker, triples, doubles, and hazmat endorsements. Trucking Janitor: You primarily role is to clean the service and dock areas. You are also expected to be capable of repairing non-motorized equipment. Facilities Repair Specialist: As a repair specialist, you will be tasked with cleaning and performing preventive maintenance on facility equipment. You must also manage and maintain equipment record-keeping. Dockworker: You will be an all-rounder in the service and dock areas. You will be mainly handling the transport of freight on trailers. You will perform such tasks by using pallet jacks and forklifts. Switcher: You must be capable of using and operating a tractor. You will be switching trailers from loading, unloading, and staging areas. Aside from that, you need to perform inspections and maintenance on tractors and trailers. Maintenance Technician: You will repair, rebuild, and even build equipment used by the company. The equipment you will deal with depends on the department where you will be assigned. Inspection and Weighing Inspector: You will inspect and weight freights on a daily basis. You will provide reports to other employees and customers. You will also report to the weight and research program administrators. To get started, you must visit its website and access its career page. In that page, you will be introduced to the positions you can get into. They are in the form of videos, so you can easily familiarize yourself on how your work will be if you get that position. There are multiple ways to pass your application to the company. Online application is available through the website, as mentioned. You can also apply in person, through a staffing agency, or through third-party employment website. The career site redirects to iCIMS, the applicant tracking system that the company uses. It will require your email address. To quickly fill up the information needed, you can allow the site to take information from your social media accounts (i.e. Facebook, Google+, Microsoft Live, and/or LinkedIn). When it comes to your resume, just provide the basic information required. Be sure to indicate your education level, work experiences, and reference. The interview process is quite easy. However, it does take some time before you get an offer. Also, you might even have to go for another round. The time in between interviews and job offers might take two to four business weeks. If you love working, then this company is for you. They provide long shifts and neverending job orders. But the pay is good, and you will work with an awesome and supportive team of coworkers. Management is okay, and it is rare that someone has a complaint. The biggest news for this company is that it is continually appreciating in the market. For the past few years, its performance and profits have been exceptionally good. The company is known for its good service and is also known as one of the good businesses to place your investment in. It has been operating for more than 80 years, and it is one of the oldest and most successful businesses in the United States. So far, little is known about the company directly supporting any cause or organization. However, it does make a promise of continuing to operate with sustainability in mind. Aside from that, the company loves baseball. Often, it holds contests and sends winners to big league games. 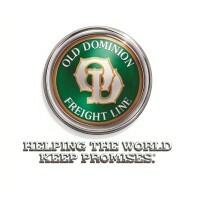 1 How old do you have to be to work at Old Dominion?